A few weeks ago I was in a rebellious mood, and like I usually do when I’m in a rebellious mood, I did something dangerous. Naturally, such an absolute statement received a lot of criticism. People were aghast that I would say Kanye West is one of the greatest musicians ever, and some even criticized me saying that about Michael Jackson. However, out of all the negative feedback I received, no one questioned the legitimacy of The Beatles ranking. The Beatles are universally recognized as one of the best bands in musical history. On Feb. 9, 1964, The Beatles appeared on the Ed Sullivan Show and performed five songs. The performance would go down in history. 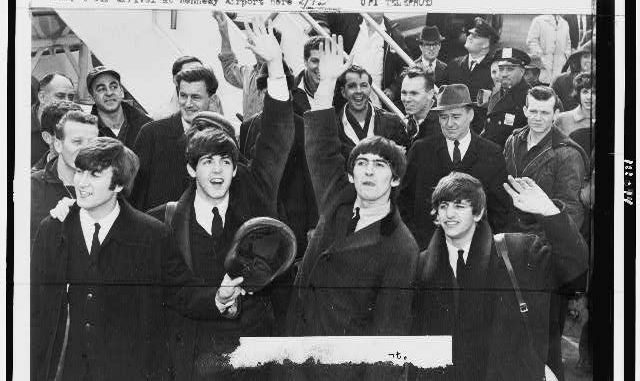 After the performance, Beatlemania was in full swing in America, and it spread throughout the rest of the world. To celebrate this monumental show, CBS put on a special tribute celebrating the Fab Four’s dynamic entry into US airwaves. The special aired Feb. 9 and was viewed by 73,000,000 people. During the special, contemporary artists such as Katy Perry and Imagine Dragons had the opportunity to butcher classic Beatles songs. Fortunately, many other artists, such as Stevie Wonder, Gary Clark Jr. and Dave Grohl also covered Beatles songs. However, the indisputable highlight of the night was Paul and Ringo performing ‘With a Little Help From My Friends’ and ‘Hey Jude’ together. Many of us aren’t able to say we were alive during the original Ed Sullivan broadcast, but we can say that we were during the 50th anniversary, which I still think is pretty special.